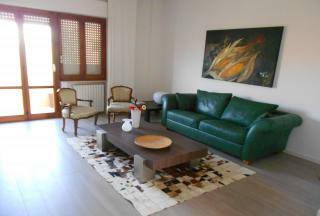 REFURBISHED, TWO BEDROOM, APARTMENT in the COASTAL TOWN of a TERMOLI. From its FOURTH FLOOR BALCONIES it has SEA and OLD TOWN VIEWS. The property is within EASY WALKING DISTANCE of BEACH, SHOPS, RESTAURANTS and BARS. Recommended HOLIDAY HOME with RENTAL POTENTIAL. There is CAR PARKING, NEARBY. 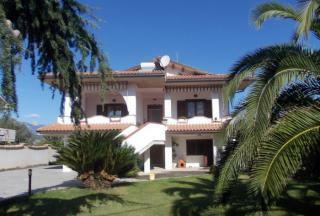 LARGE, DETACHED, VILLA which is in a TRANQUIL POSITION, CLOSE to the ADRIATIC COAST. 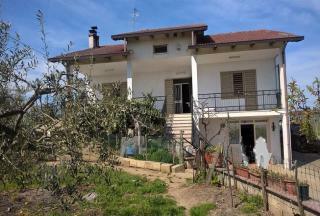 It has THREE BEDROOMS, GARAGE, TERRACE, VINEYARD, OLIVE GROVE and VIEWS. SINGLE STOREY PROPERTY which needs FULL RESTORATION. 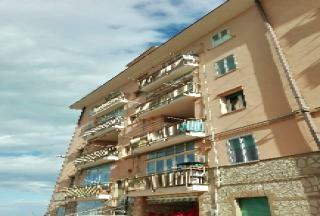 It is located in a SUNNY and PANORAMIC POSITION only 1 km from the CENTRE of COLONNELLA, with all its AMENITIES. The building is CLOSE to the RESORTS and BEACHES of the ADRIATIC COAST. An ATTACHED VILLA in a small and SECURE complex of five homes. It benefits from TWO BEDROOMS, BALCONIES, GARAGE and PRIVATE GARDEN. It is the perfect base for EXPLORING the GRAN SASSO NATIONAL PARK, rich in FLORA and FAUNA. FOUR BEDROOM, DETACHED HOUSE, just 1.5 KILOMETRES from the pretty TOWN of POLLUTRI, with its SHOPS and RESTAURANTS. The property is IMMEDIATELY HABITABLE and comes with GARDEN and large TERRACE for OUTDOOR LIVING. There are lovely MOUNTAIN VIEWS. Newly built LINK-DETACHED VILLA with panoramic VIEWS and 4,800 sq. metres of LAND. It has THREE DOUBLE BEDROOMS, PATIO and BALCONIES. A few minutes' drive to the delightful TOWN of CELLINO ATTANASIO and only 30 MINUTES to the ADRIATIC COAST. 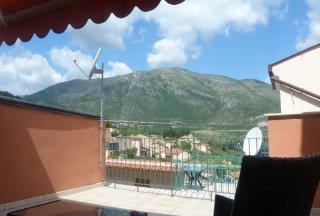 A wonderful, TWO BEDROOM APARTMENT, located in the DELIGHTFUL TOWN of CARSOLI. 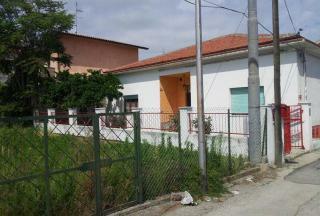 TWO BEDROOM, DETACHED HOUSE in the HILLTOP TOWN of SPOLTORE near SHOPS, BARS and RESTAURANTS. It has been lovingly RESTORED and even has a PRETTY GARDEN for AL FRESCO DINING. 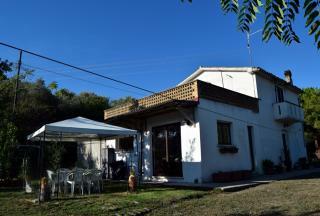 The property is CLOSE to AIRPORT, PESCARA CITY and COASTAL RESORTS. Perfect POSITION for a HOLIDAY or RETIREMENT HOME. 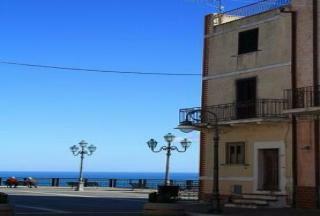 TWO BEDROOM, SEA FRONT APARTMENT which has been TOTALLY RESTORED. The property has TWO BALCONIES for ALFRESCO DINING and is just METRES from the SANDY BEACH. It is located is in the LIVELY RESORT of MONTESILVANO, with all its ATTRACTIONS, RESTAURANTS and BARS. Ideal HOLIDAY HOME. 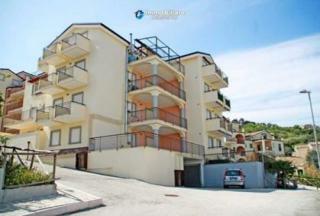 NEW APARTMENTS in the much sought after ADRIATIC RESORT of FRANCAVILLA AL MARE. Features include TWO BEDROOMS, BALCONY, SEA VIEWS and GARAGE. All AMENITIES including RESTAURANTS, BARS and LIDOS are within easy WALKING DISTANCE. 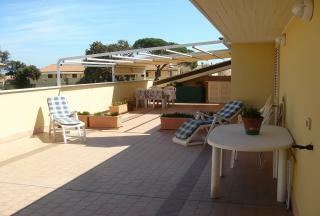 A wonderful TWO BEDROOM, TWO BATHROOM PENTHOUSE in the sought after area of GIULIANOVA. The apartment comes with a GARAGE and CANTINA. There is also a very large, beautiful TERRACE with VIEWS of both the SEA and MOUNTAINS. Perfect for OUTDOOR ENTERTAINING. PRICE NEGOTIABLE. 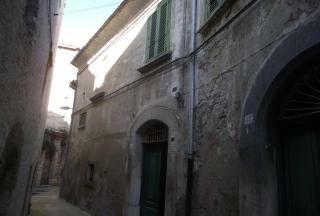 RESTORED TOWNHOUSE in the HISTORIC HEART of SULMONA, close to all AMENITIES. It has been DIVIDED into THREE APARTMENTS, ideal for ADDITIONAL REVENUE as a RENTAL BUSINESS. This much SOUGHT AFTER TOWN is only 30 MINUTES from the lively SKI RESORT of CAMPO DI GIOVE. 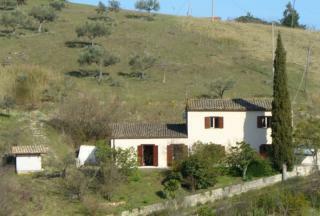 COUNTRYSIDE VILLA with FIVE BEDROOMS located close to the TOWN of ALANNO. CONSTUCTED using HIGH QUALITY MATERIALS, the property is EQUIPPED with many MODERN CONVENIENCES. The VILLA has been REDUCED in PRICE and comes with GARDEN, SOLAR PANELS and a SECURITY SYSTEM. DETACHED HOUSE which is currently DIVIDED into TWO APARTMENTS. The property comes with GARAGE, TERRACE and BALCONIES. The GROUND FLOOR needs some RENOVATION but the REMAINDER only need COSMETIC WORK. It has about 4.7 HECTARES of AGRICULTURAL LAND and 880 sq. metres of BUILDING LAND. GOOD POTENTIAL. 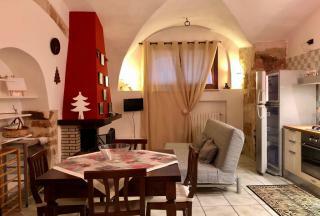 TRADITIONAL, TOWNHOUSE in the CENTRE of HISTORIC SULMONA, close to all AMENITIES including SHOPS and RESTAURANTS. It has been FULLY RENOVATED and has TWO BEDROOMS, BALCONIES and a TERRACE. THREE BEDROOM, COUNTRY VILLA which is ready for IMMEDIATE HABITATION. It is located just 1 km from CASTIGLIONE MESSER RAIMONDO with all its FACILITIES. The property comes with a GARAGE, GARDEN and VIEWS. NEWLY CONSTRUCTED APARTMENTS with TWO BEDROOMS. All have TERRACES and stunning SEA VIEWS. There is the POSSIBILITY of PURCHASING a GARAGE. The property is close to all RESORT ACTIVITIES. Choose from a RANGE of SIZES. 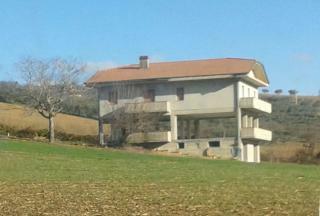 PRETTY DETACHED COUNTRY VILLA just 4 KM from MANOPPELLO. It is in a TRANQUIL POSITION and comes with 1 HECTARE of LAND and, a PORCH, for AL FRESCO DINING. It has many TRADITIONAL FEATURES which were MAINTAINED during the RECENT RESTORATION. 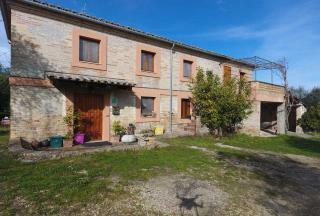 RESTORED, TWO BEDROOM FARMHOUSE located near the TOWN of COLLECORVINO. It nestles in a TRANQUIL AREA and has GARDEN, GARAGE, TERRACE and OLIVE GROVES. The property is EQUIDISTANT to the AIRPORT, MOUNTAINS and GOLDEN BEACHES of the ADRIATIC COAST. LARGE, THREE BEDROOM, VILLA which NEEDS COMPLETION. 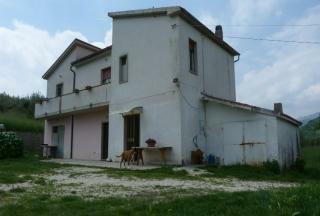 The property is in the COUNTRYSIDE, just 30 MIN from the ADRIATIC COAST. It comes with GARAGES, LAND and STUNNING VIEWS. A PERFECT OPPORTUNITY for the NEW OWNER to CHOOSE FURNISHINGS and FITTINGS to their own STYLE and CREATE a WONDERFUL HOME. 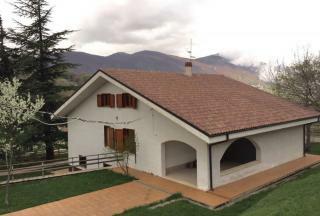 DELIGHTFUL, SIX BEDROOM, PROPERTY in the GRAN SASSO and MONTI DELLA LAGA NATIONAL PARK, It is CLOSE to many OUTSIDE ACTIVITIES and is IDEAL for NATURE LOVERS. The villa has a GARDEN, GARAGE and VIEWS. 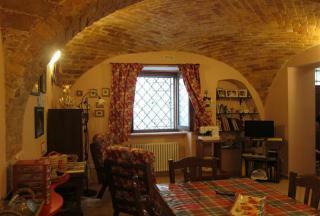 It is READILY CONVERTED into a BED & BREAKFAST as the AREA is POPULAR with TOURISTS, ALL YEAR. BEAUTIFUL, TWO BEDROOM, TOWNHOUSE with STUNNING VIEWS of both the SEA and MAIELLA MOUNTAIN RANGE. The property BENEFITS from a delightful ROOF TERRACE and is within WALKING DISTANCE of SHOPS, RESTAURANTS and BARS. It is also CLOSE to the BEACHES of CHIETI and the renowned TRABOCCHI FISH RESTAURANTS. SINGLE STOREY TOWNHOUSE in the centre of CASALBORDINO, yet just a few kilometres to the COASTAL RESORTS and BEACHES of the ADRIATIC. It has THREE BEDROOMS and is IMMEDIATELY HABITABLE. A great HOLIDAY or PERMANENT HOME. 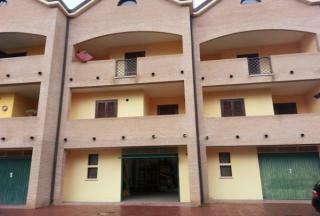 TWO BEDROOM/TWO BATHROOM APARTMENT with GARAGE and TERRACE in VASTO MARINA. The residence has ACCESS to a COMMUNAL SWIMMING POOL, PLAYGROUND and CYCLE PATH. Just 80 METRES from the SANDY BEACH. It comes FULLY FURNISHED. Great LOCK UP AND GO HOLIDAY HOME! SENSIBLE OFFERS accepted for a QUICK SALE. SECOND FLOOR APARTMENT in the RESORT TOWN of FRANCAVILLA AL MARE with its fantastic BEACH, LIDOS, RESTAURANTS, BARS and SHOPS. It has a wrap around BALCONY and is just THREE MINUTES' WALK from the GOLDEN SANDS and CRYSTAL SEAS of the ADRIATIC. The price is NEGOTIABLE. 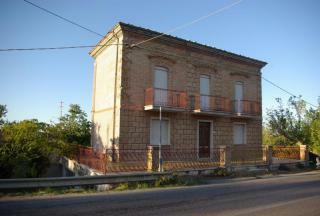 WONDERFUL OPPORTUNITY to RESTORE an HISTORIC PROPERTY, LOCATED in the OLD TOWN CENTRE of RIPALIMOSANI VILLAGE. It is a GOOD SIZE and has many TRADITIONAL FEATURES to INCORPORATE INTO the DESIGN. Great INVESTMENT POTENTIAL. 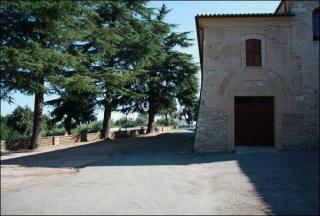 DELIGHTFUL HOUSE located in the MAIN PAIZZA of BUGNARA. It has TWO DOUBLE BEDROOMS, THREE BATHROOMS and TWO TERRACES with amazing VIEWS. The property has excellent B&B POTENTIAL as there is MORE AVAILABLE SPACE to convert into ADDITIONAL TWO/THREE BEDROOMS and an APARTMENT. MUST VIEW. 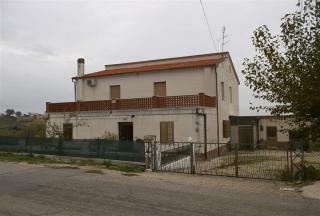 THREE BEDROOM, FARMHOUSE within WALKING DISTANCE of the centre of PIANELLA with all its AMENITIES. The property has a GARDEN, GARAGE and MOUNTAIN VIEWS. It is possible to CONVERT the UPPER FLOOR into an INDEPENDENT APARTMENT, if required. The TRADITIONAL FEATURES have been BEAUTIFULLY RESTORED. LARGE DETACHED HOUSE with 6 BEDROOMS, located close to the TOWN of ORSOGNA, with many SHOPS, RESTAURANTS, BARS and WEEKLY MARKET. The property comes with 800 SQ. METRES of AGRICULTURAL LAND, planted with FRUIT TREES.